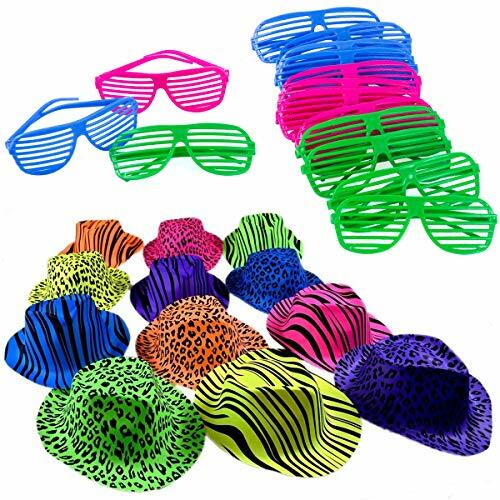 Perfect party set includes: 12 neon gangster animal print hats. And 12 neon color plastic shutter glasses. Perfect party item to wear or to give out at your favorite party. Easy to wear and easy to clean, get the party rolling.